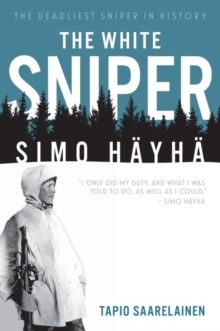 Simo Hayha (1905-2002) is the most famous sniper in the world. During the Winter War fought between Russia and Finland in 1939 - 1940 he had 542 confirmed kills with iron sights, a record that still stands today. He has been a role model for snipers all over the world and paved the way for them by demonstrating their significance on the battlefield. Simo Hayha was a man of action who spoke very little, but he was hugely respected by his men and his superiors and given many difficult missions, including taking out specific targets. Able to move silently and swiftly through the landscape, melting into the snowbound surroundings in his white camouflage fatigues, his aim was deadly and his quarry rarely escaped. The Russians learned of his reputation as a marksman and tried several times to kill him by indirect fire. He was promoted from corporal to second lieutenant and he was awarded the Cross of Kollaa. For sniping Simo Hayha only ever used his own m/28-30 rifle. Eventually his luck ran out and Simo received a serious head wound on March 6, 1940, though he subsequently recovered. After the war Simo Hayha lead a quiet, unassuming life in farming and forestry. His roots were deep in the Finnish soil and he loved life in rural Finland. A true patriot, he epitomized the traits of a professional soldier, performing his duty and setting an example of bravery that personified the Finnish spirit when confronted by the Russian onslaught. 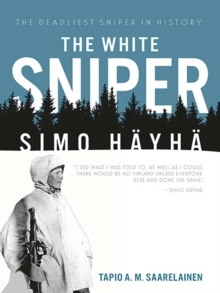 The White Sniper fully explores Simo Hayha's life, his exploits in the Winter War, the secrets behind his success including character and technique, and also includes a detailed look at his rifle itself.